The growth and cadmium (Cd) accumulation of emergent plant Nasturtium officinale R. Br. cuttings taken from plants grafted onto rootstocks of four terrestrial Cruciferae species were studied in a pot experiment. Scions from N. officinale seedlings were grafted onto rootstocks of Brassica chinensis L., Raphanus sativus L., Brassica napus L., and Rorippa dubia (Pers.) H. Hara. Cuttings were taken after 1 month and grown in Cd-contaminated soil (10 mg Cd kg−1) for 60 days. Compared with non-grafted N. officinale, grafting onto R. sativus and B. napus rootstocks increased the root, shoot, and whole plant biomasses of N. officinale cuttings. Brassica napus rootstock was more effective than R. sativus rootstock for increasing the biomass of N. officinale cuttings. The four rootstocks decreased or had no significant effect on photosynthetic pigment contents in N. officinale cuttings compared with non-grafted N. officinale. Only grafting onto B. napus rootstock enhanced antioxidant enzyme activities. Compared with non-grafted N. officinale, R. sativus and B. napus rootstocks decreased the Cd contents in roots and shoots of N. officinale cuttings, whereas the other rootstocks had no significant effect on the shoot Cd content. The four rootstocks had no increase effects on Cd extraction by N. officinale cuttings. 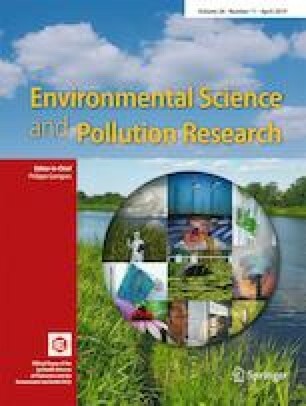 Therefore, cutting after grafting did not enhance the phytoremediation ability of N. officinale for growth in Cd-contaminated soil. However, R. sativus and B. napus rootstocks decreased the Cd content in N. officinale cuttings, which offers a potential approach for N. officinale safety production as a wild vegetable in Cd-contaminated soils. We thank Robert McKenzie, PhD, from Liwen Bianji, Edanz Group China (www.liwenbianji.cn/ac), for editing the English text of a draft of this manuscript. This work was financially supported by the National Natural Science Foundation of China (31560072).